The Equi-Essentials Poly lead rope is 5/8" x 10 feet long. With a soft, broken-in feel that is comfortable and kind to the hands. 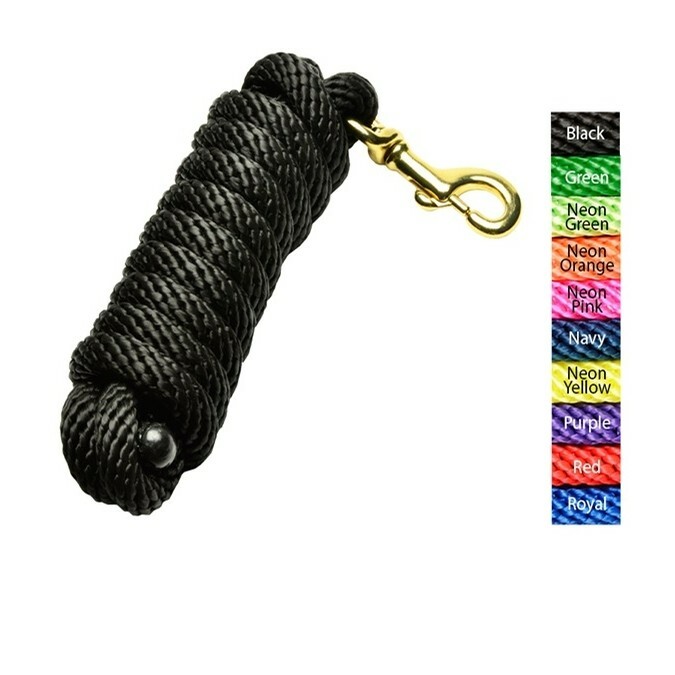 These sturdy lead ropes are made with a bolt snap.